Our Teeth Whitening service is led by our Aesthetic Dentist, Dr Edward Young at our private dental clinic in Nottingham. Teeth Whitening is a procedure designed to remove stains and yellow tones from the teeth to give you the bright smile that you’ve always wanted. So if you’re looking to get your confidence back, our teeth whitening service can help. Book a consultation at our teeth whitening clinic Nottingham today. Teeth whitening involves using a safe bleach to lighten the shade of your teeth, leaving you with a brighter, whiter smile. Depending upon the condition of your teeth, tooth whitening will have a different effect on each individual’s teeth. Because of this, it’s important to speak to our leading Aesthetic Dentist Dr Edward Young to discuss what you would like to achieve, so we can advise the best course of action for you. Teeth Whitening is a simple procedure that is very common in the UK. 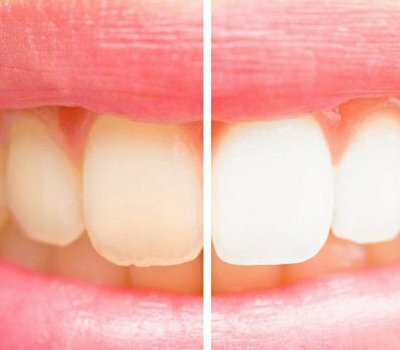 What Is Teeth Whitening/Teeth Bleaching Used For? Teeth whitening is also known as teeth bleaching and is a popular cosmetic dentistry procedure used to give you a natural, whiter smile and often forms part of a smile makeover. Over time, our teeth can become victims to various food, drink and smoking habits so many people use whitening techniques to bring their pearly whites back to life. Get in touch with our teeth whitening specialists at Zenith and book a free consultation with our private dentist in Nottingham, to see the teeth whitening options we have available. The best thing about teeth whitening is that it is such a popular and simple procedure, that anyone can benefit from teeth whitening. We ensure to use a bespoke bleaching plan for each of our clients, in order to achieve your desired whiteness, something that we can talk about during your initial consultation. We use the best teeth whitening practices in the industry at Zenith, with a safe and simple dental treatment that achieves results every time. If you want a brighter, whiter smile Teeth Whitening is the best option for you. The initial teeth whitening consultation and treatment will take place at our first class facility, located in the heart of Nottingham. We will develop a personalised treatment plan that's bespoke for you, and designed around your dream smile. We offer 2 types of tooth whitening, teeth whitening at home and teeth whitening In-surgery. As the names suggest, one is home-based and the other is here at our teeth whitening clinic Zenith. We also offer combination plans that start the treatment off in-Clinic, followed by a teeth whitening kit to take home to complete the treatment. Initially, moulds will be taken of your teeth. From these custom made whitening trays will be constructed by the dental laboratory and on your next visit we will check the fit of the trays and provide full instructions on how to use the whitening gel, to whiten the tooth’s enamel. Each patient will have personalised trays following accurate moulds of their teeth. They are given a complete whitening kit and instructed in how dispense the solutions in these trays. They will wear these trays overnight. Patients will return a month later to review and assess results. Patients will complete the above Home Whitening Session, but return after a month, to take part in an in-surgery whitening procedure for an hour, where we will use a higher strength gel in controlled conditions. Results are better as we are able to use differing strengths. An LED light will be used add effect. Our flagship whitening procedure. For the highest possible outcome, using the same technique used on Wyman Chan's celebrity clientele. All patient's teeth are assessed thoroughly through photography for texture and porosity, this gives all patients an accurate assessment as to how they may respond to the whitening products. Once isolated, whitening gels are applied directly onto the teeth and this forms the in-surgery jump start to the whitening process. Another one of patented products - his Thermal Diffuser - is attached to the outside of the mouth and ensures the optimum heat and light to allow the gels to diffuse into the teeth. After this portion of treatment has been completed, more photos are taken to check progress and a tutorial is given to show how to apply the solutions into the trays. Each tray has an indicator which allows the correct amount of solution to be dispensed . Unlike other systems, the home whitening element allows a combination of high and mid strength non-acidic gels; this allows the teeth to respond much better leading to consistently good results with no sensitivity. At our private dental clinic Nottingham, we use professional, high-grade products used under the care of our dentist to minimise any risks. You can be confident we’re using the best teeth whitening practices. However, some individuals do suffer from slight side effects but these are only temporary. Teeth Whitening side effects could be sensitive teeth and irritated gums. Our dentist will discuss with you any concerns you may have, and the results that you want to achieve in order to give you the smile that you want. This discussion will be part of a holistic consultation before we undertake any treatment. If you’re hoping to achieve a more flawless, brighter and whiter smile then teeth whitening in Nottingham is the treatment for you. Generally, teeth are brighter for between 18-24 months post-treatment. Essentially, the duration of tooth whitening all depends upon how well you look after your teeth. If you smoke, drink red wine, eat a sugary based diet and don’t brush regularly then tooth whitening won’t last long at all. The more you look after your teeth the longer it should last. However, one of the best things about your teeth whitening treatment is that your teeth will always be a brighter, whiter shade than they originally were. The cost of teeth whitening comes down to your specific requirements and what you want your end result to be. Get in touch for your consultation, where we can discuss the procedure and pricing in further detail with you. Please get in touch if you'd like to book a consultation - we have regular weekend appointments to suit you. Will whitening toothpaste help with tooth whitening? Yes and no. Whitening toothpaste off the shop shelf won’t bleach your teeth like cosmetic tooth whitening does. However, it does help to remove stains so it can be combined with making the tooth whitening process last longer. Can root canal teeth be whitened? Yes. Often dead teeth that have had a root filling can go discoloured. Internal whitening involves reopening the canal and applying a tooth whitening gel inside the tooth. This will be done over a period of time through a series of regular appointments. Teeth whitening doesn’t hurt, however, you may experience some sensitivity for a few days post-treatment. Teeth whitening is not dangerous when carried out by a tooth whitening professional. By choosing a qualified dentist, you can ensure you get the best teeth whitening results. Does teeth whitening damage my enamel? Teeth whitening does not damage your natural teeth enamel. Will my teeth by more sensitive after teeth whitening? You may experience some sensitivity post teeth whitening, however, this should fade after one to two days.